All Inclusive family holidays are a great option for parents who want a stress free break with the kids. When you know that all your meals, snacks and drinks are included in the price it makes planning for your holiday so much easier. It’s a huge peace of mind knowing that the kids can get an ice cream or a snack when they fancy one, and I know Mum’s and Dad’s really value the wine and cocktails on offer. You are on holiday after all! If you are looking for the best all inclusive holiday then look no further. I’ve pulled together the best hotels for offering good quality accommodation, great food around the clock and an excellent entertainment package in the most stunning locations in Europe. All you need to worry about is booking your flights, hiring a car and packing your suitcase to make the most of the glorious sunshine. Here’s the all inclusive holiday providers who are making a real impression in 2018. Who will you be booking your holiday with? Royal Son Bou Family Club is an award winning all inclusive hotel in Son Bou, Menorca. The island is one of the most beautiful and historic places you will ever visit, having been given UNESCO status in 1993 due to it’s large number of palaeolithic sites. 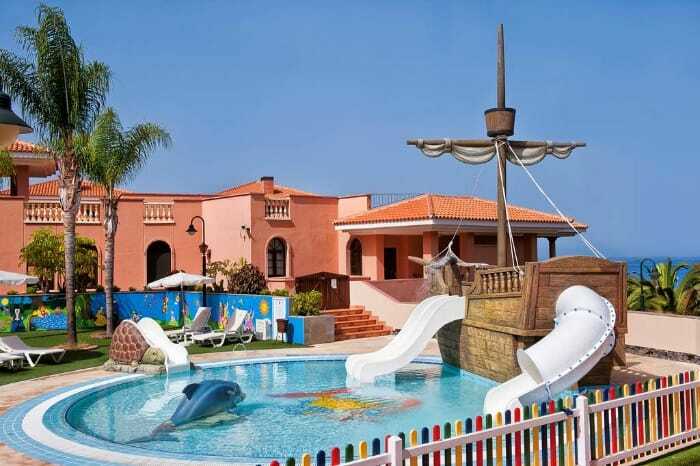 The hotel is perfect for families with an excellent kids club, pirate themed children’s pool and play area. Child care is provided for little ones in the evening during meal service, just incase they get a little fidgety after they’ve eaten. 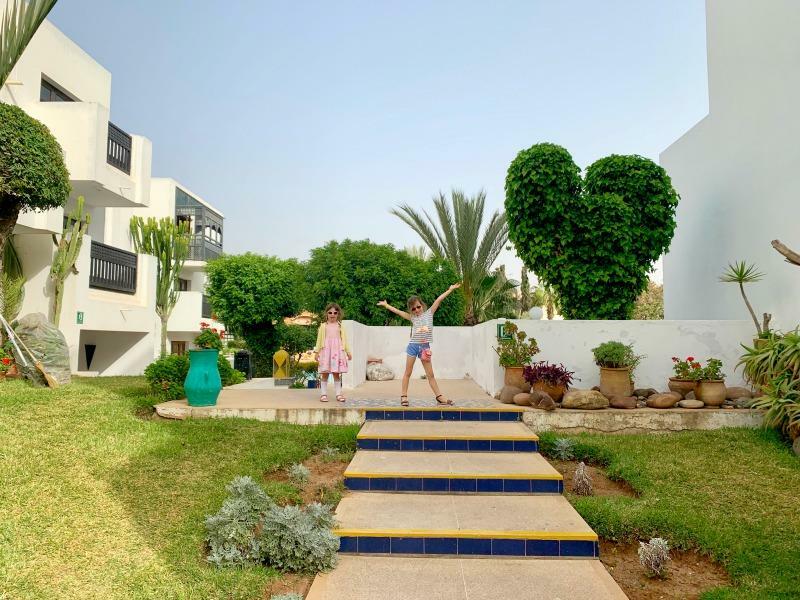 Their family friendly service is second to none, and being just 2 minutes walk from the stunning Son Bou beach you are guaranteed a wonderful holiday with the kids. Situated right on the coast line, this gem in the Iberostar crown lays just a minute away from the beach in South Tenerife. With stylish accommodation, and delicious local and international gastronomy served all day everyday, you’ll have trouble tearing yourself away from the family friendly Anthelia hotel. Boasting a 5 star service, luxury spa and excellent kids club, I have no doubt that you will enjoy every minute of your stay on this beautiful Spanish island. I have plenty more ideas for places to stay in Tenerife if you are keen to visit the largest of the Canary Islands. This hotel is perfectly located to enjoy the very best views across the shimmering blue waters of the Aegean sea in front of it’s very own private beach. This luxury all inclusive resort is elegantly appointed providing families with the perfect holiday escape. 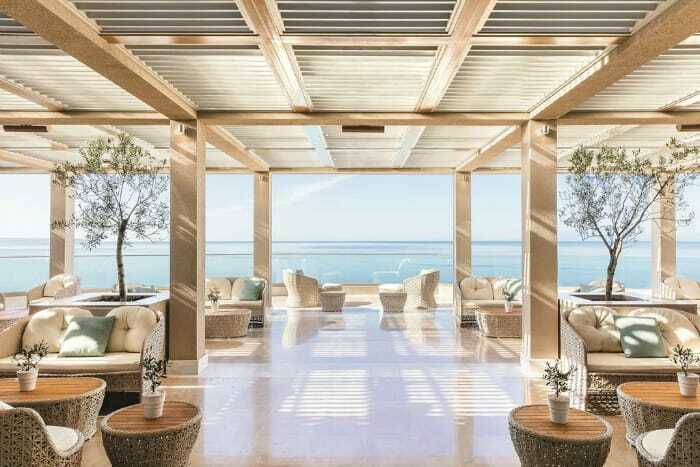 With four a la carte restaurants to chose from as well as a Dine Out experience where guests can go and visit the very best local restaurants, Ikos Oceania have thought of everything. Children of all ages will feel very at home with their fun packed activity program, operated by UK childcare provider Worldwide Kids. 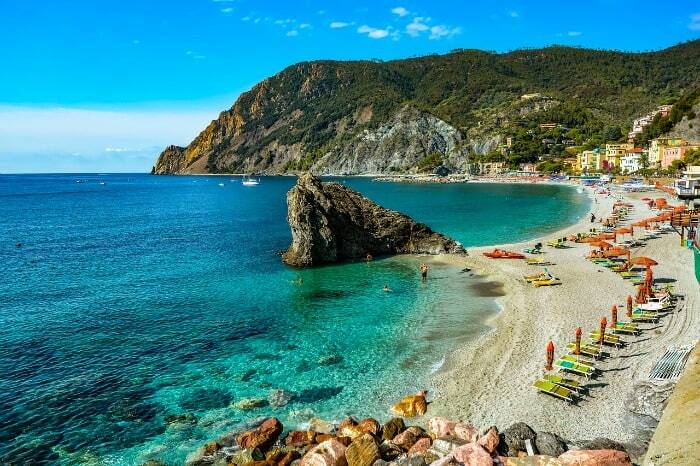 With activities such as tennis, diving, windsurfing and pedalos available to name but a few, everyone in the family will be happy with their holiday here. 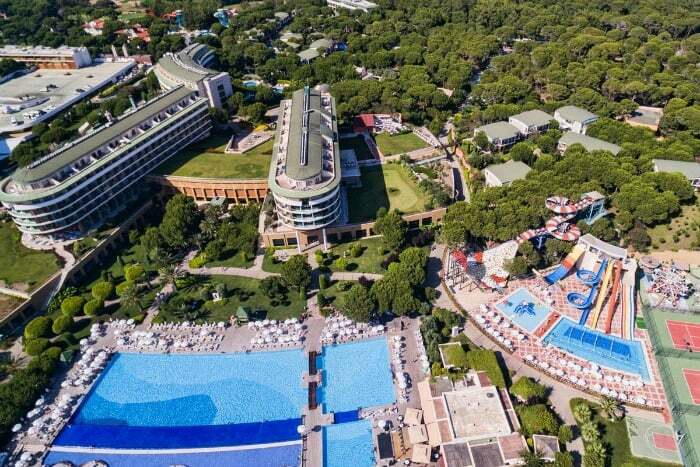 If Dad likes a round of golf then the Voyage Belek Golf & Spa really needs to be on your radar. This all inclusive hotel is home to Montgomerie Maxx Royal Golf Club, one of the finest golf complexes on the Mediterranean coast. That’s not all though! The hotel also provides a funfair with children’s rides, a water park and excellent kids club facilities from 0-12 years old where little guests can enjoy pizza making, soft play and trampolining. With a great entertainment program also, the family will enjoy a wide range of quality acts and music to enjoy that holiday feeling well into the evening. 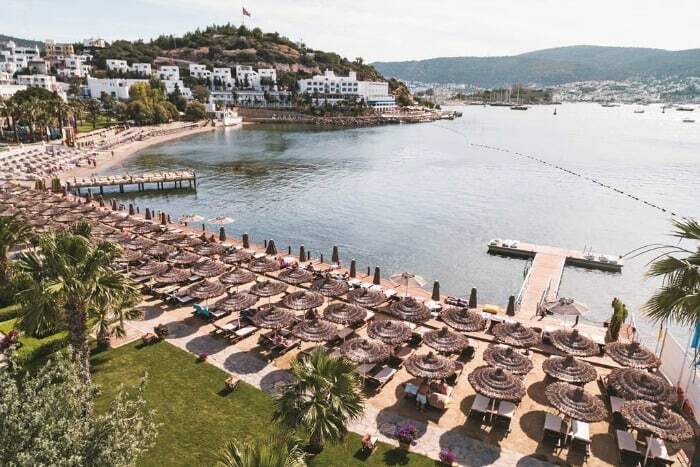 You will feel like your staying on a private island if you book your all inclusive holiday at the uniquely placed Xanadu Resort Hotel in Bodrum. Situated on the West coast of Turkey amidst a back drop of beautiful pine forests and rocky hills, you will feel like you have arrived in paradise when you check in for your stay at Xanadu Island. Kids will enjoy the exciting outdoor play area, fun children’s pool and fantastic kids club activities, when they are not on the beautiful beaches surrounding the hotel of course. With unforgettable dining experiences and plenty of opportunity to relax and enjoy the Mediterranean sunshine, Xanadu Island is a must for families looking for a luxury break. All inclusive family holidays can cover so many bases for parents, which is why I personally love them so much. I also don’t feel you have to compromise luxury or quality just because you are going on holiday with children, or want to book an all inclusive package. 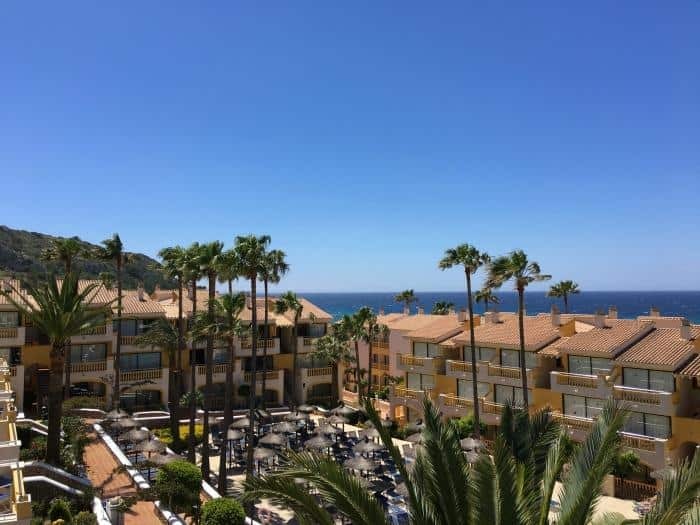 This selection of all inclusive hotels will provide you with the quality you are looking for whilst still allowing for the convenience your family will appreciate. Are you planning on booking an all inclusive family holiday this year? What do you look for in a resort before you book your stay? A great selection, particularly like the sound of Ikos Oceania Greece. We’re off to the States this year & our trip is not all inclusive. I never really got the idea of all inclusive before my daughter came along but after a few lovely holidays I’m a bit of a convert. Definitely fancy Ikos as well. We’ve not done an all-inclusive holiday with the kids yet but I loved them pre-kids. Knowing that everything was included and there were no hidden charges to budget for was such a stress reliever. I love the look and sound of Ikos Oceania! Some great ideas here Zena! Ikos sounds amazing! I can’t tell you how much we are in need of a holiday right now. Last year we spent the summer camping but we absolutely need an all inclusive break, with activities for the kids and lots of sunshine!!! Ooh – these sound lovely! The great thing about all-inclusive breaks with kids is that it’s so easy to relax. Ikos gets my vote – but I’d also like to try Royal Son Bou at some point. What super choices – it is going to be difficult to choose one!